Yesterday we covered ClickBank Product Approval: 3 Step Checklist For Success. Today, Day 16/30 of the #Bizathon we cover the 5 steps to write an converting email autoresponder! In most instances they’re a series of emails designed to do one thing – get the subscriber to take an action. This is accomplished via clever linguistics and by offering actual value. Once configured, your emails are sent automatically to all your subscribers, with complete control over mailing frequency. For most new lists, I test three separate mailing times. Doing so reveals not only which times result in the most opens, but the most clicks too. Once I have my preferred subscriber mailing time, I stick with it, testing once or twice more each year. And testing each new list or segment along the way. Note: Remain consistent with mailing times so subscribers can learn to expect your emails. Aside from automation, email autoresponders are clutch when marketing online because messages become hyper targeted due to their intimacy. What makes an email intimate is the copy (what you write). As you’ll start to realize, just about everything you successfully do online, comes down to great copywriting – including your email autoresponders. 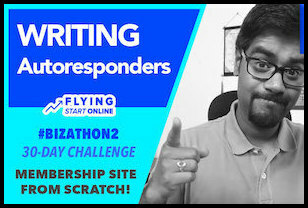 That being said, I definitely invite you to check out Anik Snigal’s Copywriting Academy. It’s been nearly two decades in the making and resulted in more than $120 million in sales so far. Definitely worth a look if you’re serious about making money online. To this day, lack of focus is the most common mistake I see when opening emails. Your message and intent should be clear from the beginning; with not only yourself, but your users. Hang a white board in your office and on it clearly Identify your campaign objectives. This serves as a reminder of your goals, ideally leading to hyper-focus and successful campaigns. If you haven’t already, create your business plan today. Act like you’ve been here before. A professional look to accompany an efficient funnel and autoresponder sequence will give an impression of authority. Branded website – All logos, graphics, ads, and copy are congruent. Concise Landing Pages – The message gets to the point. 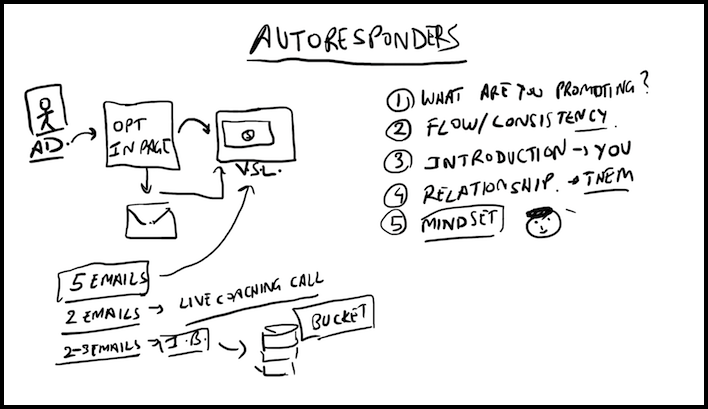 Clear Autoresponder Message – Don’t be a scatterbrain. Focus on one goal. Video Sales Letter – If you’re selling, there better be a VSL. 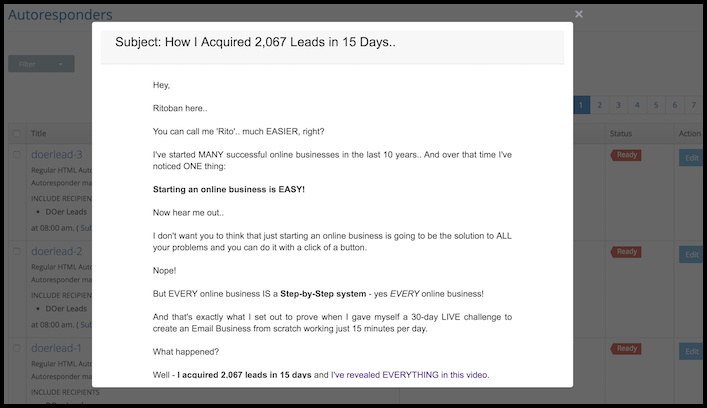 Sales Funnel Converts – Entice me to purchase the order bump. Effective transitions are what enable your website and products to not only convert, but stand out. Concisely but with intent, introduce yourself. Be real. Introduce the process they can expect. And always keep their eyes moving down the page. NEVER Spam – This doesn’t need explanation. Keep It Real – People want interaction with humans, not robots. Don’t Deviate – Stick with your offers and specific series. Mailing Consistency – Be reliable with your timing so people can expect them. Don’t Share Your List If You Can Help It – While this can be great for jv sales, you’re still diluting the power of your list by giving it to somebody else. The easiest way to do this, is by walking users through the process of the day. 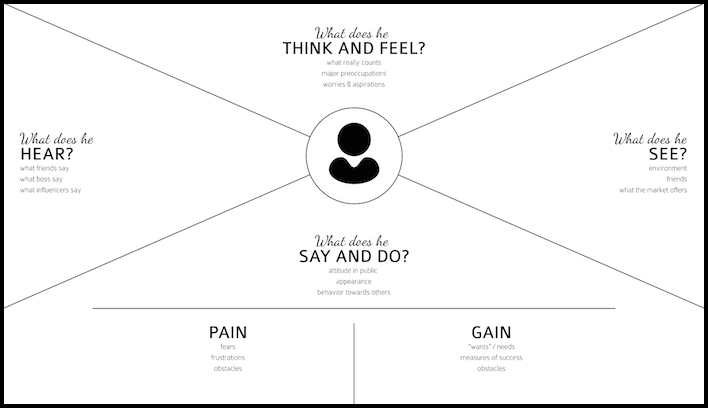 Make the user feel like they are involved in the process even when you’re selling. Building a customer avatar hugely impacts your marketing. Before creating anything to market, the most critical first step is knowing your audience. Who’s going to use it, how are they going to use it, and why are they going to use it? Many people create websites based on a topic rather than an audience. If you have a clearly defined audience, every post you write and every product you recommend will be relevant. One way to nail down your audience is to create an avatar for your ideal reader. What’s their gender? Age? Interests? Hobbies? Struggles? Dreams? Print the above image and use it to your advantage. Every decision from what you sell to the font you use, will be based on this avatar. What does he/she want to gain? That’s it for Day 16 – Well done! If you’re not already being kept in the loop via our #Bizathon2 list be sure to sign up today! Questions, Comments or just want to say Hi? Please do so in the comments section below. Success by choice, not by chance.